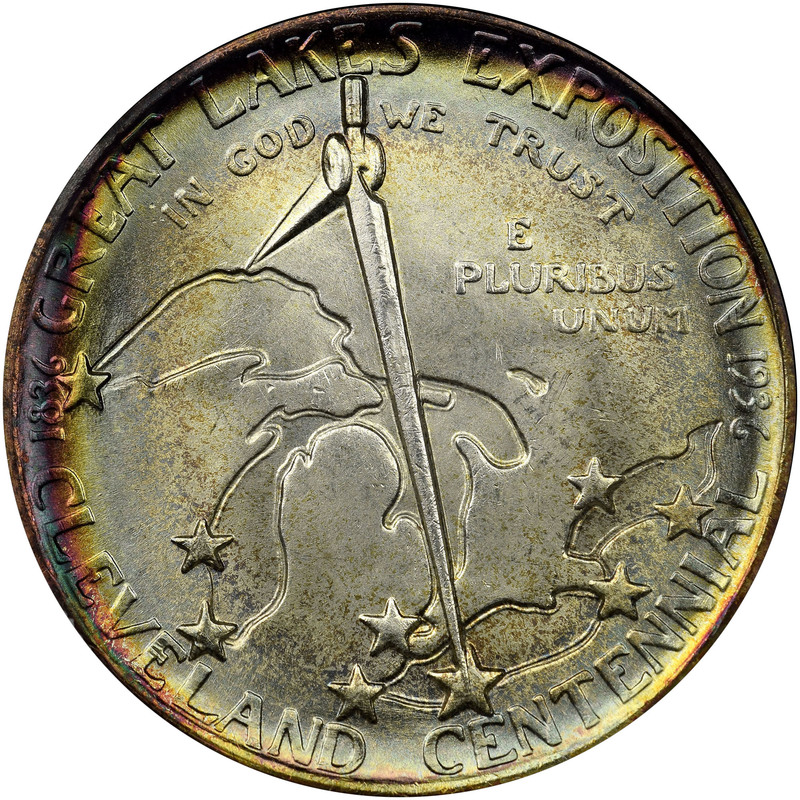 The 1936 Cleveland Centennial Half Dollar was struck to celebrate the 100th anniversary of the incorporation of the city, as well as they Great Lakes Exposition of 1936-1937. As opposed to the Cincinnati Commemorative which celebrated no true anniversary, Cleveland was actually incorporated 100 years prior in 1836. 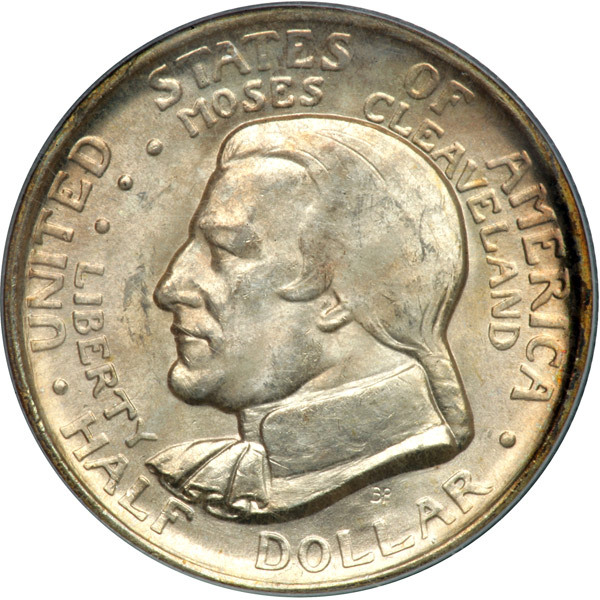 However, the same enterprising coin dealer who was behind the Cincinnati coin, Thomas G. Melish, was the man behind the Cleveland coin as well. 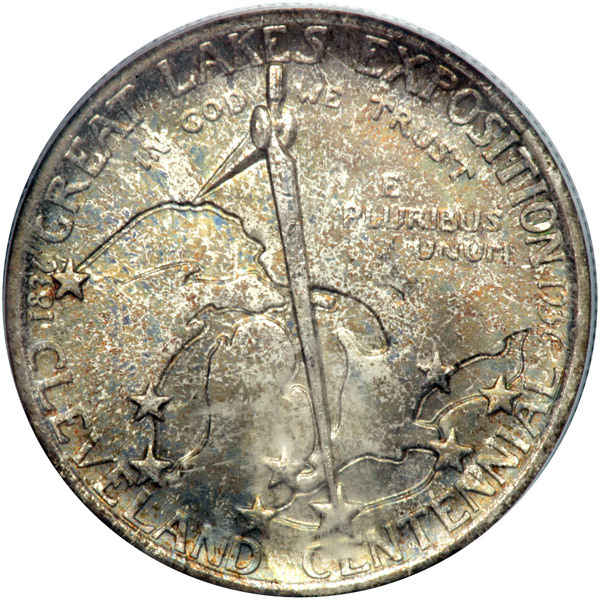 Melish, attempting to capitalize on commemorative coin fever, once again tried his best to have many different date and mint mark combinations (as well as multiple designs) authorized for the Cleveland coin. However, Congress had finally had enough of his profiteering, and restricted the coin to a single design, date, and mint mark. The bill authorizing the coin was passed on May 5th, 1936, allowing for no fewer than 25,000 and no greater than 50,000 coins to be minted. The Cleveland Centennial Commemorative Coin Association selected sculptor Brenda Putnam to design the coin. Her sketches were accepted with only minor alterations. The obverse features the portrait of Moses Cleaveland facing left along with LIBERTY, UNITED STATES OF AMERICA, and HALF DOLLAR. The reverse has an aerial view of the five cities of the Great Lakes, and around the periphery are GREAT LAKES EXPOSITION and CLEVELAND CENTENNIAL, separated by the tiny dates 1836 and 1936. 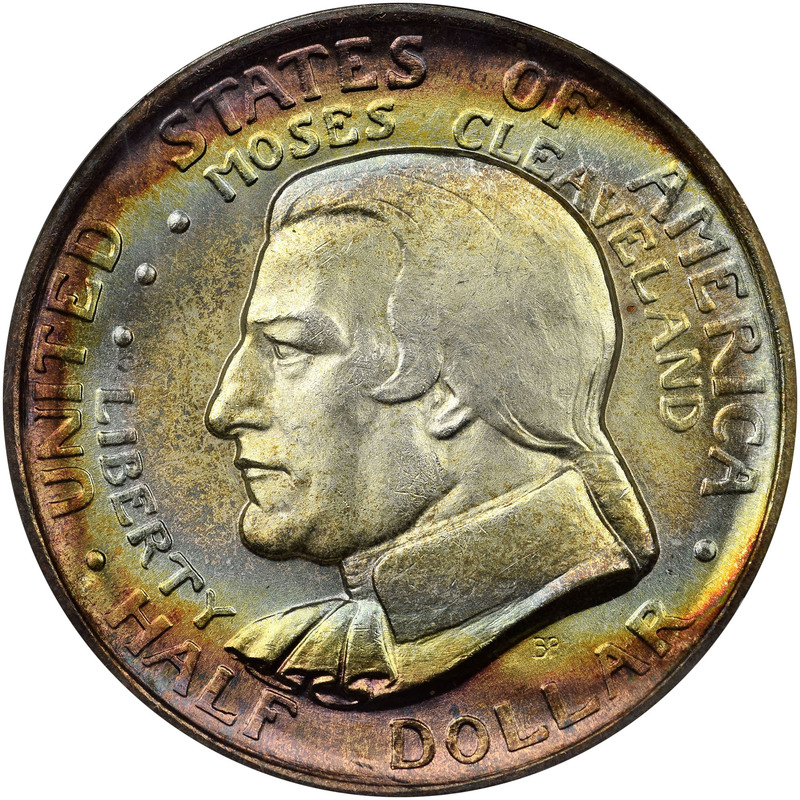 The first 25,000 coins authorized by the bill were minted in July of 1936, and were offered for sale on the grounds of the Exposition for $1.50 each. The coins proved popular and the remainder of the coins authorized by the bill was minted in 1937 (but with the date of 1936.) Therefore, the total mintage of this issue was the full 50,000.